Is the cantina in Mos Eisley open? I need an outlandish beer. I saw the model up close while I was at the expo. It looks phenomenal. I can’t wait for it to open, it is sure to be a game-changer. Wasn’t it MASSIVE? I couldn’t believe the scale of it. Also, commenting on the Ewok post. I was hoping for something like that too! They do have something kind of like that near the Star Tours ride already. Which, speaking of… what is going to happen to that little are as well as the launch bay? I am most looking forward to flying the Millennium Falcon! After watching the videos though, when they mentioned bounty hunter, I was expecting Boba Fett… not some character I’ve never seen before. I’m kind of disappointed in how the land is geared to the newer Star Wars fans. I mean the Falcon and fighter are part of the originals, but some of us have been waiting for something like this for a long time!! I would much rather meet R2D2 than BB8. 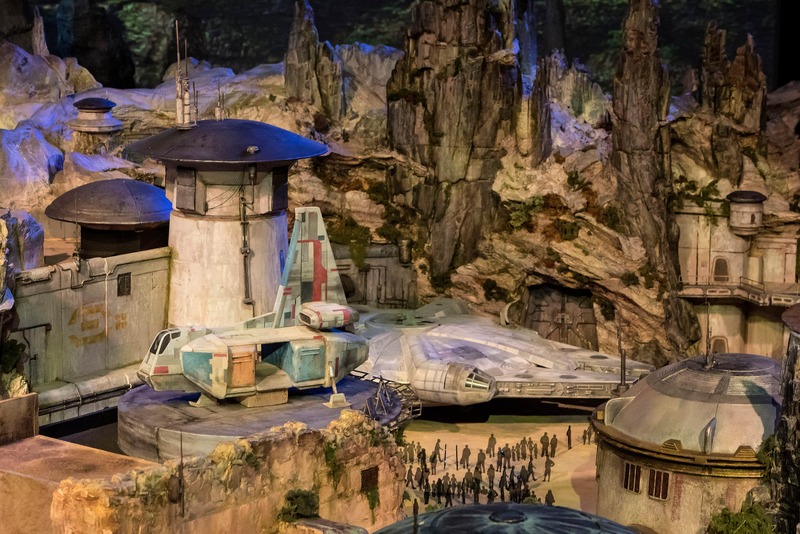 I also wanted to say I am so super excited about Star Wars Land. I hope the almighty above will bless me and let me visit this land in 2019 at Disneyland. I was hoping for a little Ewok land. Like a bridge and a treehouse to go to. Incredible – incredible model and incredible new addition to the parks! Will this model be coming to the Blue Sky Cellar for folks to see? David – based on the stuff I’ve seen and read on the internet, I believe the AT-AT walkers are an internal part of the First Order battle ride. Unless I’m wrong, that ride seems to be hidden under the rocky, mountainous terrain on the left side of the model. I think the large, half buried hangar like structure over there would be part of the entrance. @ David re: the Walkers. The update photos many fan sites have been showing of the construction sites in CA and FL showed the Walkers being assembled inside one of the attraction buildings. 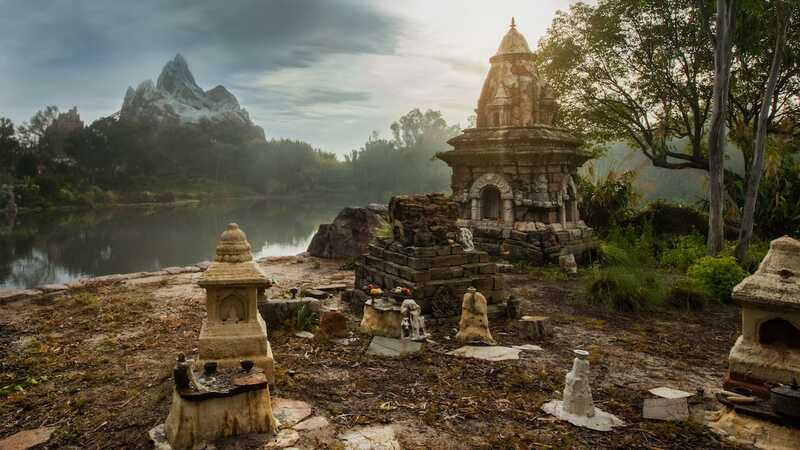 We obviously don’t know how they will be used (part of ride or maybe part of inside queue), but that is why they won’t show up in the model of the finished land. The model looks great! I can’t wait to see the area come to life. I am confused about one thing. The teaser construction clip showed two walkers in Disneyland but I don’t see them in the model. I was looking for some reference points based on current topography and I’m a bit confused. 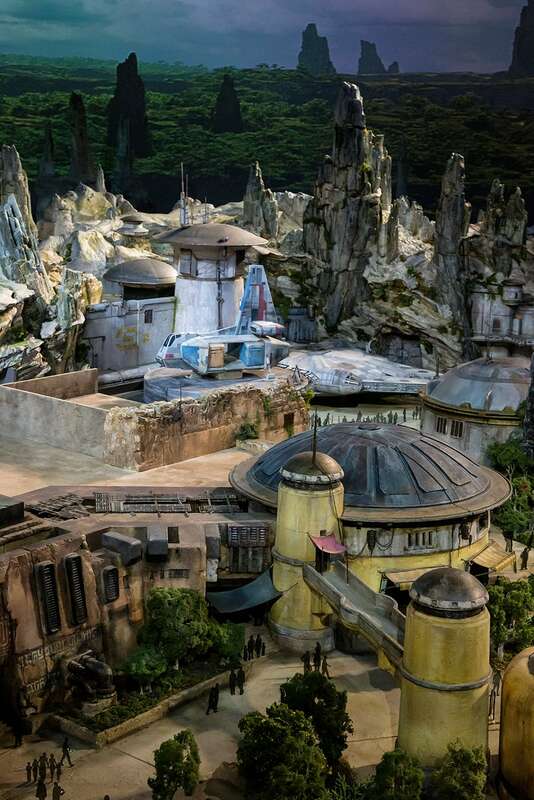 So… should we expect a name for “Star Wars-Inspired Land” soon? Wow, 2019 can’t get here soon enough! Looks great! It’s going to be a LONG 2 years waiting for the new lands to open in 2019!